Companies who exceed lead and revenue goals were 2.4X as likely to use buyer personas for demand generation than those who missed lead and revenue goals. How well do your sales and marketing teams understand buyer pains? We mean REALLY understand them? If getting prospects to move through your sales funnel is a struggle, chances are that somewhere along the line you may not know exactly what makes your buyers tick. A good buyer persona will help you understand, relate, and persuade your buyer. A great buyer persona will equip you with the insights you need to target the right messages at the right time with the right people. And a super-great buyer persona will drastically increase the effectiveness of your sales and marketing efforts. When you’ve got a superb persona in your arsenal, magic happens. Question 1: Who are your buyers? In B2B marketing, we have rarely seen a situation where a single decision maker is responsible for a purchase. Most likely you have at least three buyer types. Decision makers: These individuals ultimately make the decision and sign the contracts and are typically the most senior people at the proverbial table. They don’t use the solutions per se, but they make investment decisions based on organizational priorities. Influencers and champions: These folks use your solution and pave the way for your success. They probably were the first people you spoke with and they truly understand how your solution can meet their day-to-day needs. They’re instrumental in navigating and leading the sales process on your behalf. a role in bringing it into your organization and/or supporting it for the long haul. These people are often overlooked but are absolutely critical to your buying process! For example, if you are selling a SaaS solution but your prospect’s IT teams do not and will not support SaaS, you need to be talking to these teams at the very beginning of the sales and marketing process. And you need to be using different messages to educate on the value your solution brings to them and their role within the process. Make sure you have identified all of the people involved in the evaluation of your solutions and that you’ve accounted for their needs, desires and preferences in your sales and marketing processes. Question 2: What keeps your buyers up at night? Having an issue is not enough to catapult a person into action. With competing priorities and limited resources, key decision makers often focus on a few burning priorities and accept the status quo for everything else. Your buyer must agree that the problem your solution solves is a problem worth tackling, or your lead – and your entire sales process – will fizzle out. Seek to understand your buyer’s priorities and business challenges. What is the bigger picture? What issues keep him or her up at night? And how does your solution help solve their biggest challenges? For example, if your buyer is in the middle of a global acquisition, you need to step back and think about how your solution helps them more successfully navigate the acquisition. Does it save time or money? Address compliance needs? Meet an unmet need? When you think about it from your buyer’s point of view, you can specifically target your message and prompt the buyer to look at your products and services in a different light. Question 3: What does success look like? You must understand what success looks like for your buyer. Are they looking to solve a business critical initiative? Do they have a major gap in their strategy that you can fill? Do they need to be more competitive or innovative in their market place? Is it all about P & L? Knowing the answers to these questions helps you hone in on the right messages for your buyers. Remember, success may look quite different to your buyers based on their role in the organization (as mentioned in question 1). Think beyond the business outcomes. What are your buyers’ aspirational outcomes? Getting a promotion, changing the company culture, leaving a legacy… personal goals can be just as important as business goals when making the ultimate decision. Question 4: What are the barriers to solving the issue at hand? 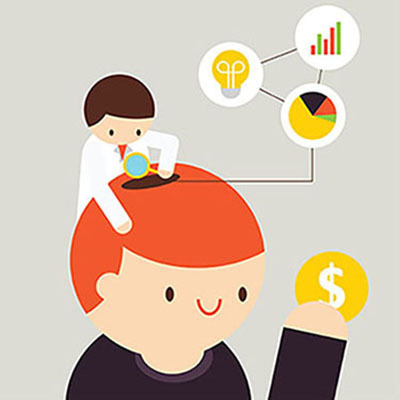 This question looks at the reasons why your prospects may not buy your products or services. These barriers can run the gamut from negative perceptions about your company and product to internal factors like previous failed attempts to solve the issue. While these insights can be frustrating to learn, they are important in determining how to overcome objections. With this knowledge, your team can prepare good answers to address these barriers and overcome misconceptions that can get in the way of closing a deal. Question 5: What is the buyer journey? Before you set out to market and sell your solution, you must have a clear line of sight to the process your buyers use to complete their evaluation and make their final decision. When you know these steps you can align your marketing and sales processes accordingly, providing relevant, compelling, timely information at each key point. Through the journey you can expect to encounter things like feature comparisons, ease of use, cost, company reputation, customer references and so forth. Question 6: What resources do buyers trust? Often times buyers will rely on trusted resources to help guide their decision. This could be conferences, industry analysts, trade publications, peers and colleagues or other resources. Knowing the top resources that buyers use in each stage of the buying process will help you determine where to place your marketing efforts and dollars to reach the right people. 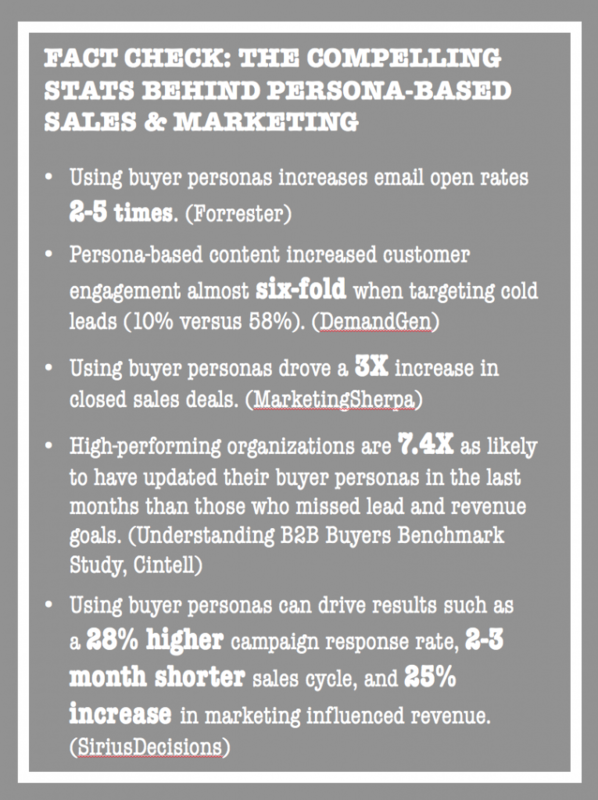 Creating buyer personas is an important step to better success in filling your sales pipeline and moving prospects effectively through the sales cycle. With your buyer persona in place, you can create messaging that resonates and tools that meet your buyers’ need for information when, where and how they need it. The insights you gain in a buyer persona can also help you prioritize marketing investments across the board for a bigger impact. Need help creating your buyer persona? GrowthMode’s proven model has allowed us to develop buyer personas and complementary messaging platforms that cut through the clutter and help our customers stand squarely above their competition. Contact us to set up a complimentary analysis of your current buyer personas and receive a recommendation suited to your needs.